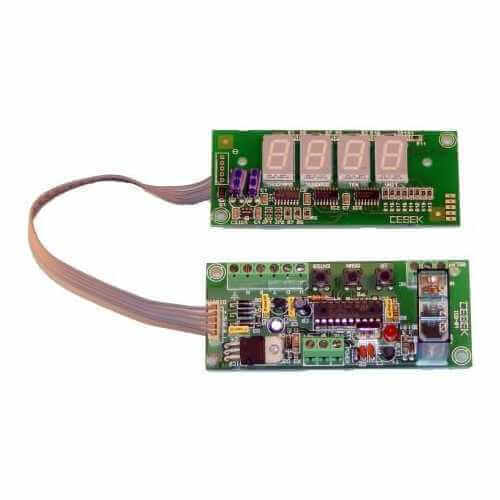 Delay times are set using BCD pre-selector switches (not included). Relay is activated via the Start Input (using for example a push button or relay contact closure) and turns off at the end of the preset delay period. A Reset input allow you to stop the timing period at any time and returns module to zero, waiting for a new activation. Includes cover for LED display, protection against inverse polarity and a screw terminal block for connections.